Outback Astronomy offers personalised tours of the night sky, providing intriguing facts and showcasing dazzling sky objects. Unlike the city where light pollution makes star gazing difficult, Broken Hill is the ideal location for naked-eye and binocular-assisted astronomy tours. Linda Nadge has lived and worked in Broken Hill for 18 years holding senior manager positions in both mining and regional development before setting out on her small business endeavour. She wanted to create a small business that allowed her to continue living in Broken Hill and that was different so she could attract tourists to this incredible part of NSW. 'I always enjoyed astronomy as a hobby and then I started to think about the possibility of that becoming my business,' Linda reflected. 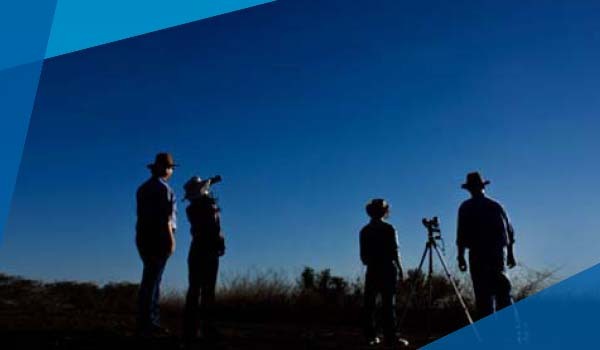 In just 12 months of operation, Outback Astronomy has become one of regional NSW most captivating tourism experiences. It featured as one of the world's 'hottest new experiences for 2015' by Lonely Planet. Linda continues to create new and interesting tours that also feature the town's aboriginal and mining history. Ann Rogers, President of the Broken Hill Chamber of Commerce said the Business Connect program has added a profound depth to the services Broken Hill was able to offer to its small business community.